The hills of Rosazzo benefit from a special microclimate set by several geographical factors: its closeness to the sea, its altitude and the presence of elevated parts. The near-by sea (which is approximately 30 km away) mitigates the climate of the area; the altitude means Rosazzo is well ventilated and well lit. 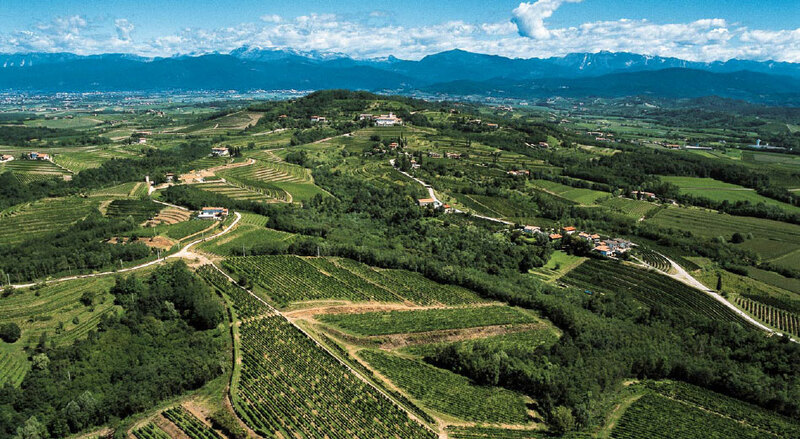 The near-by sea (which is approximately 30 km away) mitigates the climate of the area; the altitude means Rosazzo is well ventilated and well lit. History, passion, conquests: Ronco delle Betulle preserve in their vines the strong marks left by a past linked closely to the dealings of Rosazzo and in particular to its famous Abbey. Founded between 1068 and 1077, the Abbey of Rosazzo was maintained in its conditions of simple splendour thanks to the efforts of the Augustinians , the Benedictines and lastly by the Dominicans who understood the essence of the wealth of this land. A centre of religion, culture, social and economic development from the start, the Abbey became the place where vines were protected and grown, and that is how the wine-making tradition began, keeping alive traditions, secrets and the passion for wine. 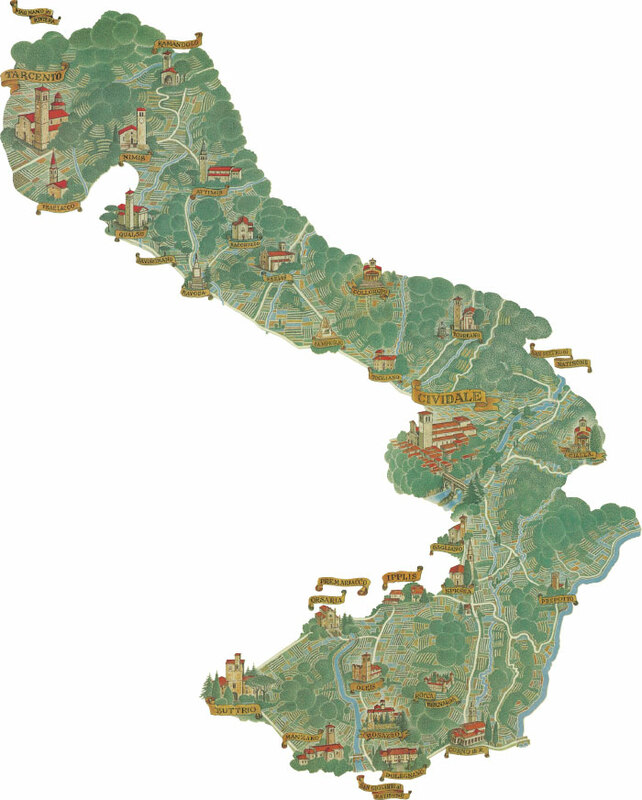 Rosazzo Subzone (equivalent to the French expression Cru, meaning a small territory of specific vineyards) of the Colli Orientalli del Friuli, which is where Ronco delle Betulle is situated, was established by Decree on 30th October 1995 and it includes the hills surrounding the historic Abbey. From the subzone, at the end of October 2011, the new DOCG Rosazzo was created with the purpose of producing a unique white blend made of Friulano ( at least 50%), Sauvignon, Pinot Bianco, Chardonnay and Ribolla Gialla. In addition, two new Subzones were created with the aim of protecting two traditional grape varieties: Ribolla Gialla di Rosazzo and Pignolo di Rosazzo. To be given such a name, these wines must only be obtained in this area and in limited quantities: i.e. no more than 56 hectolitres per hectare. Ronco delle Betulle benefits from the special characteristics of a mixed soil made of marl, calcareous clay and sandstone including calcified sands, rich in mineral salts and nutritious elements which are precious to vines, making for high quality grapes and hence fine wines. This soil is referred to as “Ponca” and it originates back to approximately 50 million years ago.